Gifting your Iceland wedding guests with something during your day is a very memorable gesture. Often, adventure wedding couples find providing their guests with Iceland welcome bags are kind way to introduce their guests to Iceland. As they fill them with all sorts of local goodies and helpful things the guest may need along the way. But if your budget does not allow for this maybe scale down to something more basic and simple like just an Iceland wedding favor, given to your guests the night of the wedding as a take home. Popular items with previous Iceland wedding clients have been things like salts, luggage tags, a wool blanket, artwork, chocolates, or a book. So today we would love to share with you some of the Best Books to Gift Your Iceland Wedding Guests! Alda Sigmundsdóttir is an author we admire very much. She is a forward thinking, creative, independent writer, and a badass #girlboss! Spending years crafting intriguing books, she has created an amazing repertoire for you to choose from. Today 3 of her books has made our “best books” to gift your Iceland wedding guests list! Part of the unique experience with having an Iceland adventure wedding is learning about the geology and folklore on the way to our amazing private and offbeat locations. Our super jeep team tells you stories directly from the areas we are visiting that answers questions like “How did Katla Volcano get her name?” People LOVE hearing local stories about the area, as it really enhances the overall experience. But let’s say you do not hire our Iceland Wedding Planner team or you have a lower budget requiring you to do a bus wedding in Iceland and you do not have our team providing this unique information to you? 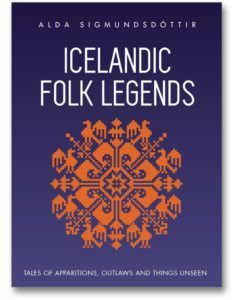 The next best thing would be to purchase Alda’s super awesome book titled, “Icelandic Folk Legends! Totally one of the best books to gift your Iceland wedding guests! Imagine passing one to each of your guests before you begin your long drive to whatever Iceland wedding location you have chosen, they will be so surprised! In the book of Icelandic Folk Legends, you will learn firsthand how Icelanders use to entertain themselves during the bleak winters, bad weather, and even during “window weather” where it looks beautiful but is too cold to run around in! In my opinion, Icelanders have the BEST story-telling abilities and Alda recounting the 15 held within this book are very vivid and as she describes, it feels like you’re actually there watching it happen! Think: Outlaws hiding out in caves, unruly ghosts, trickster trolls, the list is countless making this one of the best books to gift your Iceland wedding guests! Honestly, had me on the edge of my seat and biting my nails at times! Overall, I walked away from the book with having a stronger sense of the belief system Icelanders have now and back then which completely enhances my cultural experience (even though I leave here!)! Feel free to find your way HERE to purchase the book directly from the talented author. One of the curious things about Iceland is that the majority of the local people believe in hidden people (aka Elves / Trolls). Some people believe they are pranksters, some think they are helpful and kind, whereas others grew up fearing they are soulless and malicious. Fun Fact: If you ask any Icelander to spit / pee on an elf church, house, or rock they will not do it, I guarantee it. The interest and belief goes so far in the culture that in some areas that roads are built around places that it is believed elves or hidden people living to ensure the peace between all remains. Regardless, their presence here is real and the culture embraces it and has endless stories around them. 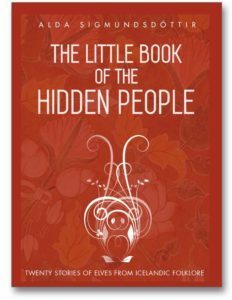 Alda’s book entitled, “The Little Book of the Hidden People” gives us an introduction to who these hidden people are and how they have shaped the Icelandic culture over the decades. 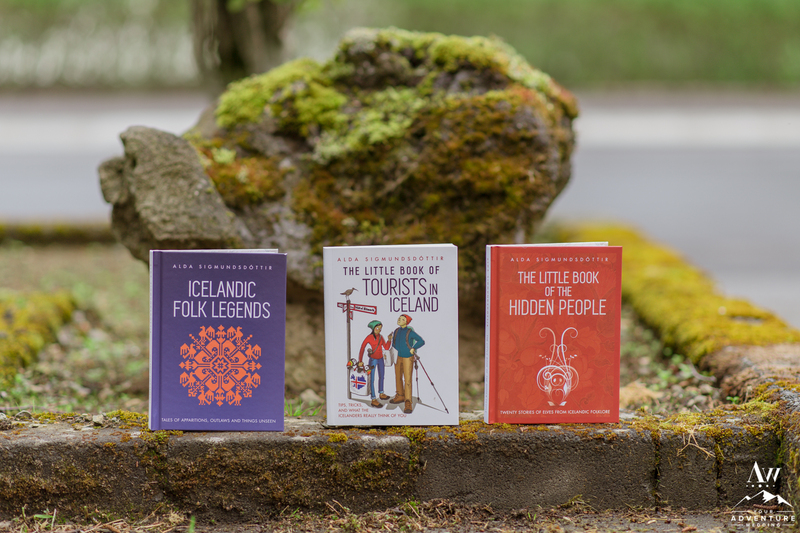 Keep the cheeky curiosity going and purchase one HERE to see why it is one of best books to gift your Iceland wedding guests! It’s no secret Iceland is practically on everyone’s bucket list or wanderlust list. Rightfully so with all of the jaw dropping places you’ll find around every corner! Then add in the flexibility or travel with Icelandair and Wowair flying directly from the US from countless cities it has become one of the easiest international destinations to travel to. So bringing guests to your Iceland wedding can often be an easy decision. But the question is… Do you want your Iceland wedding guests to be “like a local” and or possibly pegged as disrespectful tourist when visiting? Likely the former. 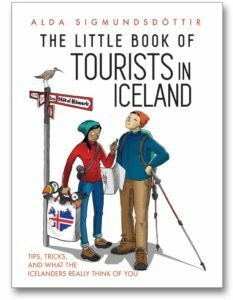 So if you’re not up for crazy amounts of research, we encourage you to purchase The Little Book of Tourists in Iceland HERE.